Technology and parenting = H-Appy Mummy? - The Baby Diaries - A simple baby routine and milestone app that keeps track of baby's sleep, feed, change times, milestone achievements and photos all on your smartphone, iPad or iPod! 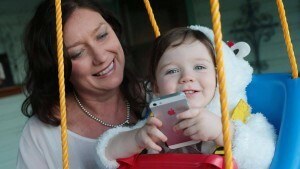 Technology and parenting = H-Appy Mummy? Imagine being a parent in the 1950s? No smart phones or tablets, no blogs, Apps, or mumpreneurs? Wait! Most of these things didn’t exist when I had my first child in 2001! These changes were highlighted when I had my second child in 2012. With an 11 year gap I found changes in the world of parenting astounding, and not only because cloth nappies were making a come-back! Techno-parenting had become the norm, but are we better off with all this technology at our fingertips? Let’s explore the pros and cons. Apps. “There’s an App for that” is a catchcry we often hear. I personally found that there wasn’t an App for everything which is why I developed The Baby Diaries, however there is an App for that now! There are some excellent lists floating around such as BornOnline’s “must-have Apps” for pregnant or new mums http://www.bornonline.com.au/category/technology/ Apps get my vote, especially those that replace pen and paper and help sleep-deprived parents remember important things like milestones. Smart Phones and Tablets. Forget the 10 year gap, the Mums in 2014 Australian survey found that mums with a standard phone halved between 2012 and 2014, while those owning smartphones and tablets rose to 48%. Over half of all UK mums regard their smartphone as an “essential parenting tool” with 87% having smartphones. Don’t you wish you had shares in Apple? I love my iPhone BUT I make a big effort to put it down after hours to be present for my family. These devices are great, but you don’t want your children drawing pictures of mummy with her head in her phone. It’s a bit like chocolate – everything in moderation. You need to know when to stop and walk away from the fridge … umm the phone. Social Media often gets a bad rap, particularly due to the damaging effects of cyberbullying, but social media has also opened doors for many time-poor mums, offering a vehicle to stay connected to friends and family. It can be a valuable information source and a wonderful way to share images and stories with loved-ones. Hands up if you’re on Facebook? Statistics suggest 99.5% of you put your hands up … and if you’re reading this in a public place there’s a good chance you’re getting strange glances (sorry). Funny glances or not, you’re definitely not alone, but I guess that’s the whole point. Online Forums and groups – African Proverb say “it takes a village to raise a child”. Ok I’m hooked, but where is this village? Most of us are lucky to know the names of neighbours living two doors down. But let’s face it, parenting can be isolating at times, and more for some than others. This is where online forums and groups can play an important role in reducing isolation and increasing support. Postnatal depression becomes a very real, overwhelming and powerful influence for 15-20% of new mothers. Isolation and lack of support are some of factors that lead to PND however community support and contact with other parents can help manage and reduce the effects. Perhaps it’s not surprising that 70% of mums are engaged in online Forums or special interest groups. Online Services. In days gone by expectant mums would attend antenatal classes with other expectant mums, often in a hospital environment. While many hospitals still offer this service, usually for a fee, there are a number of online antenatal programs where expectant mums logon and midwives provide information, advice and support. Similarly after baby arrived in the “old days” mums were encouraged to participate in Mothers Groups at Clinics where they met regularly to discuss any concerns, and baby would be checked by the attending Nurse. These groups have been replaced to an extent and we are now seeing an emergence of online “baby-specialists” offering information and advice about anything you can think of. Having experienced both the in-person and online approach, I believe a combination of both are ideal. Online is a rich source of information, however the days of mothers groups were a great way to meet other mums, reduce isolation and, in my case, make lifelong friends. I still speak to these ladies most weeks only now we’re talking about the transition of our children into High School! Online is great, but don’t underestimate the power of in-person relationships. So what did you decide? 1950’s or 2014? I know where my vote goes. Have a wonderful day … and come say hi on Facebook!